“It is sometimes difficult, but you have to realise that they are also people who was made by God and although I’ll never condone what they did it is my task to reach out to them. There is so much hate and anger in this world and it is so difficult to forgive,” says Dr Fazel Freeks from the North-West University’s Faculty of Theology. 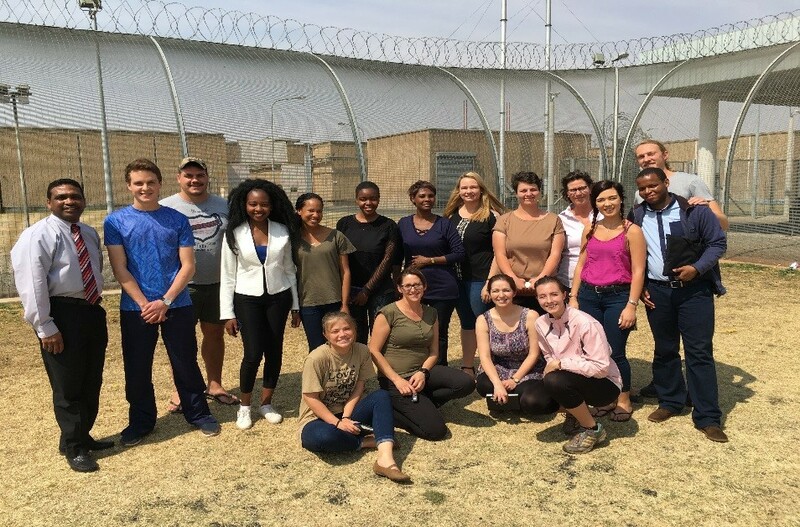 Freeks heads the Prison Ministry Project where inmates from Potchefstroom Correctional Services are given counselling on how to be responsible fathers. The programme started in 2015 as Freeks felt it was imperative for him and the faculty to extend their already long reach into the community even further. He contacted FAMSA (Family South Africa) and the Department of Correctional Services and now number between 400 and 500 prisoners receive counselling yearly. “Our main purpose is to help absentee fathers get back to their families,” says Freeks. “We also try our best to discourage wrong, irresponsible behaviour and association with the wrong friends. What we want to encourage is for them to make quality decisions and the Faculty of Theology wants to walk this path with them. The Faculty of Theology wants to maintain a mentorship role long after they have been released. This is also part of our responsibility,” he explains. It is a domino effect. The better fathers the prisoners are to their children, the better not only for their families, but for society as a whole. It is the first step in what Freeks hope wil be a programme that continues to grow. According to Freeks one of the most important lessons a prisoner can learn is that the stigma of being a prisoner can be overcome and it should not hinder them in becoming responsible fathers. They also need to be taught what it means to be a father. Freeks is the author of numerous popular books including Dad & God, Dad, be the father God called you to be and Dad is Destiny.